Meet Phoebe Kemble, Director and head chef of Kemble Kitchens. 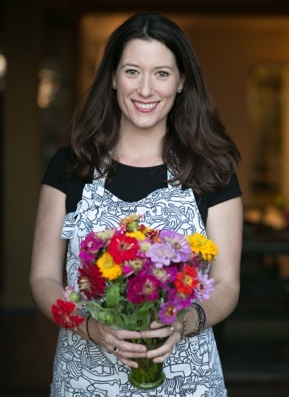 Her unique background in entertainment, comedy and professional cooking inspires her cheerful approach to cuisine and events. Fine dining should be fun. Traditionally trained at Le Cordon Bleu, her current style is based on modern European cuisine. Today, she prepares gourmet comfort food for events large and small, happily sharing culinary secrets from her life-long passion for memorable meals and travel along the way. It was one of the best meals I've ever had at home. The flavors were just out of this world. Fantastic technique and everything also looked beautiful. If you want the food to be the star of your next party, you have to get Phoebe on board. She doesn't simply feed your guests, she puts her heart and soul into the food. She makes everything from scratch and the flavors are out of this world. Phoebe catered a 30 person cocktail party for us recently and our guests couldn't stop talking about how amazing the food was and how talented Phoebe is. Aside from the fact that her food is fabulous, Phoebe is too! The only problem with hiring her is that she can't be your guest at the same party. She has a wonderfully fun spirit that makes her an absolute pleasure to have cooking in your house. Phoebe has a way of transforming my kitchen into a foodies sanctuary where cooking becomes social, casual and almost contagious..... I am continually mesmerized by her talent and ability to make it seem effortless and fun! Not to mention, everyone raves about her food! Phoebe is Phenomenal! Cooking with her is the best! 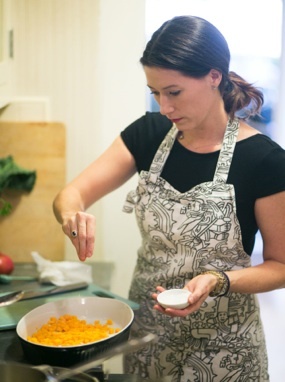 She taught me the quickest and easiest tricks that make me look (and my food taste) like a pro! She is an amazing person to have in your kitchen. I think of her on a daily basis as I am so thankful for what she has taught me. I will have all of these new skills with me for the rest of my life. I have worked with Phoebe Kemble on several occasions and she is amazing! Her food is fabulous! Being from the South, I wanted to throw an upscale Mexican Fiesta and Phoebe came through for us with a creative, mouth watering menu! Our guests were talking about it for days! In addition to parties, we also have used Phoebe for home meals and they never disappoint! Phoebe is so much fun to be around, you'll just want to hang with her! The chocolate chip butterscotch cookies were so popular that guests requested the recipe and some stuffed them in their pockets to take home. Of all meals, [a birthday] brunch seemed to have the most come-one-come-all spirit. But “all” [soon] turned into a forty person gathering. Enter the wildly talented, unflappable Phoebe Kemble. Phoebe prepared an elegant but homey brunch that satisfied the most discerning of guests (one was a very particular three year old, another was vegan). The food was delicious, the presentation, effortlessly graceful, and the atmosphere created, ideal for a Sunday afternoon amongst friends and families. Dinner on Thursday night was a smash. Such fun to have Phoebe in the kitchen cooking all day too...[the] apartment smelled divine. We all loved every bite! Phoebe is a fantastic chef who brought great fun and professionalism when she catered a birthday party for us. She brought thoughtful and elegant touches to the evening which meant we could relax knowing that she was in control. We would highly recommend her for any event!